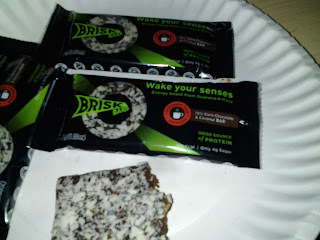 Knowing that the energy drinks my son drinks are not a healthy option, yet wanting something to give me a little boost, I decided to try these Briskbars Vegan Energy Bars. Although I am not vegan, I do enjoy the quality ingredients that go into these energy bars. The bars are rather small, but pack a big taste. I am a big fan of dark chocolate, so when I saw that they were dark chocolate and coconut, I had to try them. Although I love dark chocolate, these were a little bit more bitter than I had expected, so some who aren't the biggest fans of dark chocolate might not enjoy them. My son didn't care for the taste at all when I gave him one to try, but it was all good because I ended up eating his instead of opening my own. As mentioned earlier, these bars are pretty small but do offer several bites in each one. It is suggested that those who might be sensitive might want to start out with a half a bar to see how it might affect them before consuming a whole one. I found that half a bar was sufficient to give me the burst of energy I needed to keep my going through my morning slump, without giving me too much energy. 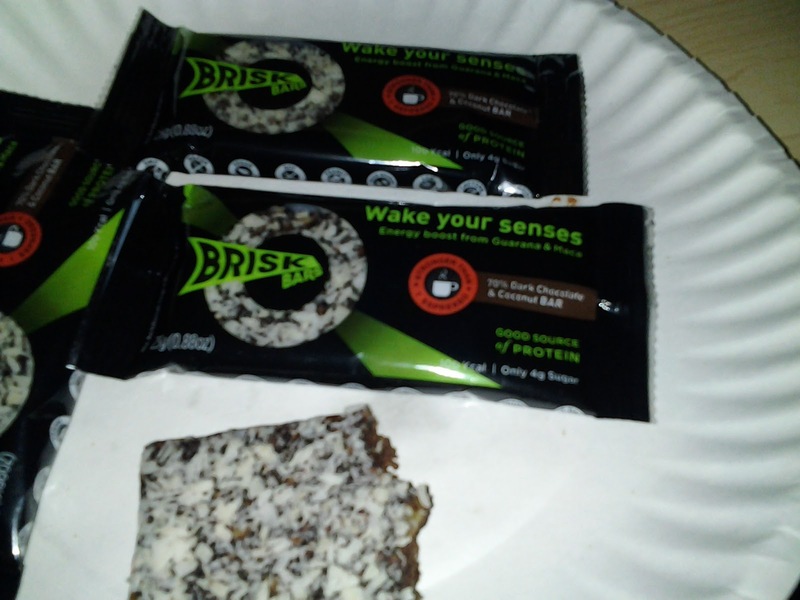 It is nice that one of these little bars can be split into two bursts of energy when you need them the most. Each bar has 100 calories, 5 grams of protein, and only 4 grams of sugar. Some people might prefer a bit more sugar for the flavor, but these are pretty good once you get used to the. These probably aren't something that I will be eating every day, though I don't feel a need for energy bars or energy drinks on a daily basis. My thoughts for these are that they would be great to carry along in my purse, car, or wherever for those times when I am out and need a quick snack and/or a burst of energy. These would be great in an emergency situation, so carrying a bar or two in your car or bugout bag would be a great idea. They might not fill you up, but would definitely come in handy when stranded in a snowstorm or other emergency situation. These would not only provide you with a small snack, but also an added burst of energy to keep you going.